William Chivers Promoted to President & CEO of RUSH Construction, Inc. – RUSH, Inc.
An overdue recognition of his leadership and dedication to RUSH, William Chivers will now serve as President & CEO of the construction firm. RUSH Construction, Inc.’s William Chivers has been promoted from President to President & CEO of RUSH Construction. This promotion is in recognition of Chivers’ 20 years of strong leadership, hard work, and dedication to the company. 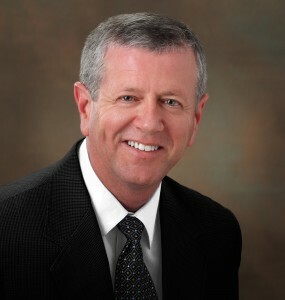 With a construction background spanning 40 years, William Chivers joined RUSH Construction in 1997, and earned the title of President in 1999. William’s exemplary leadership skills and proven track record has earned him this new title of President & CEO. “William’s vision and leadership during his tenure has been instrumental to the success of RUSH Construction,” said Executive Vice President Al Forbes. “As shareholders of RUSH Construction, we made the decision to incorporate the title with his responsibilities, which is long overdue.” In his new role as President & CEO, Chivers will be spending more time on business development and community involvement, in addition to his current responsibilities and oversight. William Chivers has played a key role, not just in creating the building blocks for RUSH Construction, but in creating and maintaining an environment where the RUSH project team is empowered and supported, and client satisfaction is placed at the forefront. Chivers’ role has been integral in RUSH’s consistent ability to finish projects on or ahead of schedule, and for the achievement of the company’s litigation-free history. In addition to his accomplishments within the company, Chivers is also passionate about serving the Brevard County community. He currently serves on the Titusville YMCA Board, Career Source Brevard Workforce Board, BB&T Community Advisory Board, and is involved as a member of Associated Builders & Contractors (ABC).